It seems one of the biggest agricultural trends in the past few months has been the production of hemp, sometimes referred to as marijuana’s “sober cousin” since it is derived from the same species but lacks THC. A wave of pro-hemp legislation has been passed in 2014, with much of its resurgence fueled by changing cultural perceptions of marijuana, as well as the environmentalist movement and organic farming. Hemp offers numerous benefits for farmers and consumers alike. 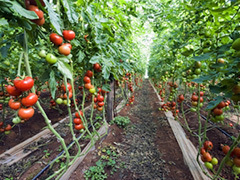 In addition to several practical uses in everything from clothing to food to fuel, the crop is favored by farmers because it grows fast and takes up a relatively small amount of space, making it both practical and profitable. It also enriches soil, allowing other crops to be grown after the hemp is harvested. Hemp is loved by environmentalists because its unique characteristics allow it to absorb pollutants and toxins from the soil, and CO2 from the air. Since hemp is pest-resistant and grows like a weed, it has little to no need for pesticides. It also happens to be a very durable textile, while requiring only about half the land and water that cotton does. Many uses already exist for hemp seeds as well. Boasting high levels of protein and Omega-3s, several health foods are made from hemp seeds, such as butters and energy bars. A 2009 study even showed that hemp seed oil can be used to produce sustainable biodiesel that may even run at higher efficiencies to comparable biofuels. The U.S. stands to make significant profits from the hemp market. Although America imports much of its hemp product from Canada and China, that trend is gradually changing along with the recent legislation, and experts recently valued the market for hemp in the U.S. at over $500 million. With the economy still struggling and the “Green Movement” surging, hemp is on the way. Posted on May 9th under Global Ecology.